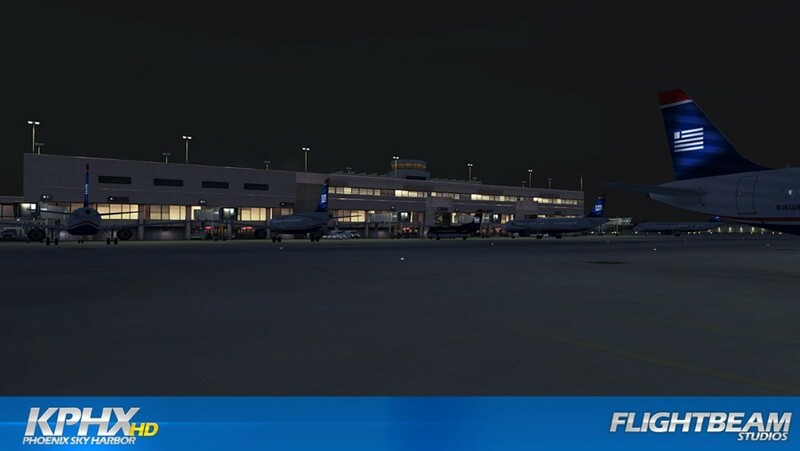 An amazing airport scenery from the team at FlightBeam! Perfect for the heavy jetliners like the 737NGX and 777, all the way down to small GA and helicopters. 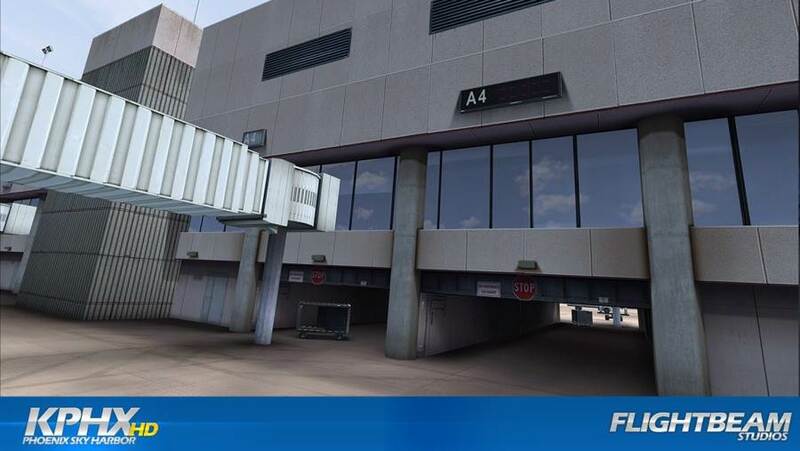 Make Sky Harbor International in Phoenix your next destination (or departure point) with this stunning HD scenery add-on. Grab it now from PC Aviator Australia and download immediately after purchase, or choose a DVD backup disk mailed to you for a few dollars extra. 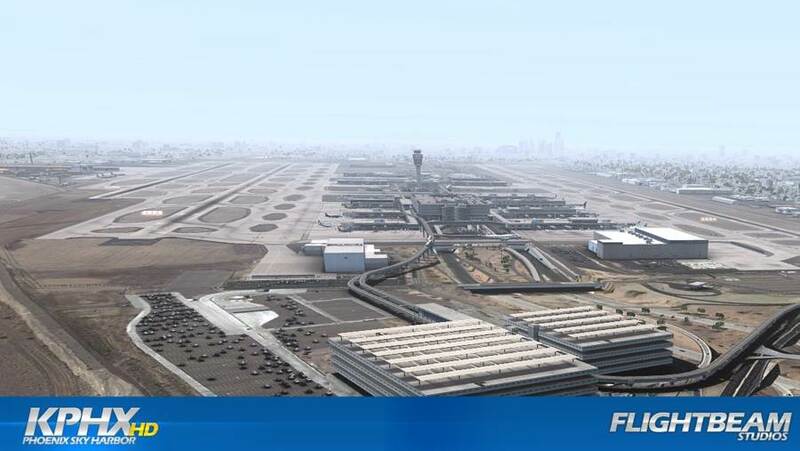 Welcome to Sky Harbor International. 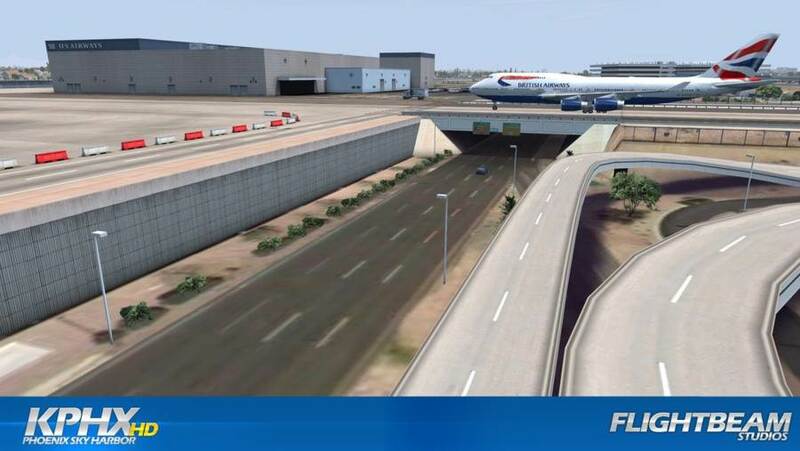 With it's 326-foot control tower, three active taxiway bridges and an Arizona Air National Guard base, KPHX is one of the most unique airports in the U.S.
KPHX was designed for FSX and Lockheed Martin's PREPAR3D; one of the most detailed airport renditions ever made for a simulation. 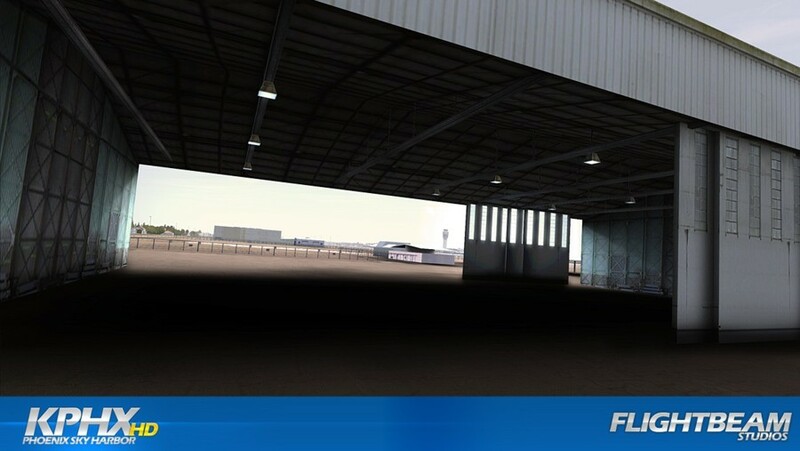 With our extensive experience in the game industry, KPHX is optimized to a high degree to bring you the best possible performance even with the most demanding third-party aircrafts, all while displaying stunning attention to detail at every terminal. Native GSX Support, no GSX purchase required!